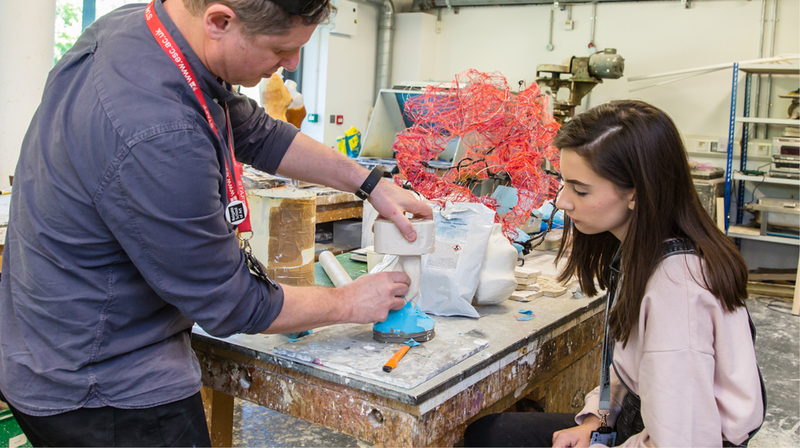 Our dedicated and inspiring course leaders and teaching staff are made up of professional artists, practitioners, music and sound producers, fashion and graphic designers, media make-up, wig and prosthetics experts, photographers, film editors and producers as well as art historians. They bring a wealth of experience in delivering their subject specialisms. Our highly talented and valued range of technicians and learning support assistants work alongside teaching staff to meet individual student’s needs, many of whom also have specialist skills.